On the surface, the concept of archiving is simple. In practice, it often proves to be quite challenging: careful planning is required before the first bits of data are ever moved, and the process necessitates a revisit of your company’s overall data lifecycle management practices. 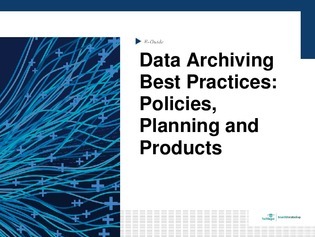 This expert guide will help you formulate a sustainable archiving strategy for your organization, with several policy, planning, and product suggestions outlined. Read on for an additional look at advice on complying with retention policies and 4 factors that will determine if cloud-based archiving is a good fit for you.